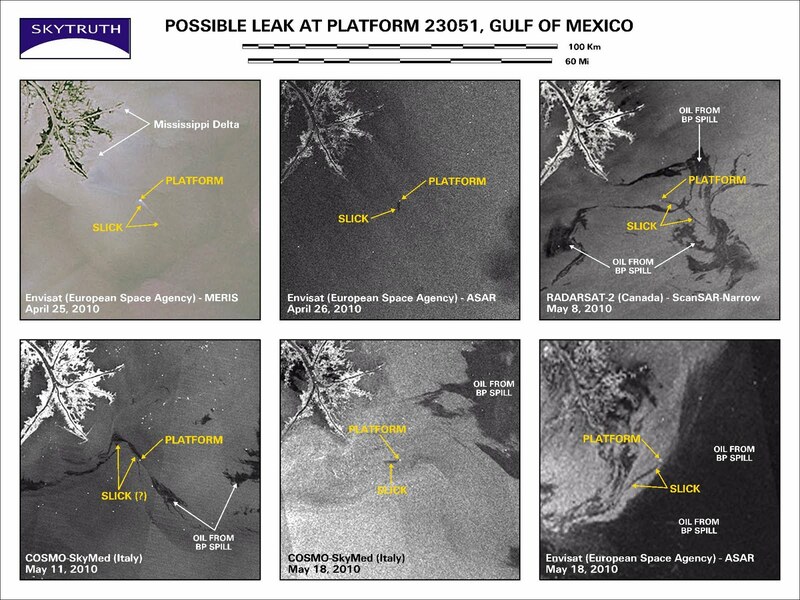 As we wrote yesterday, SkyTruth may have discovered a small but persistent leak or oily discharge from Platform #23051 in the Gulf of Mexico, unrelated to the ongoing BP / Deepwater Horizon oil spill. We see a small slick apparently emanating from the platform location on multiple satellite images taken since April 25, including yesterday’s Envisat ASAR radar image. According to MMS data, the platform is located at 28.938022 degrees North latitude, 88.970963 degrees West longitude. That’s about 12 miles east-southeast of the tip of the South Pass outlet channel of the Mississippi River. If anyone happens to be in the vicinity of this platform it would be great to get some observations, photos and/or video to document this possible leak or discharge. 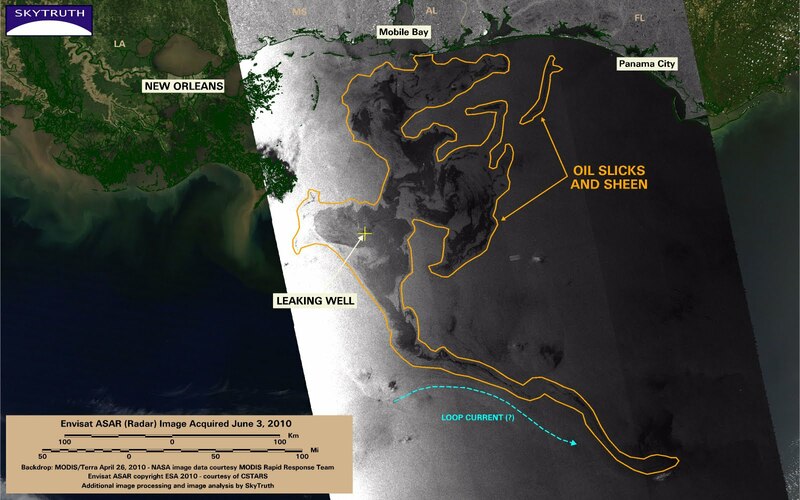 So how do we track the "Plumes" that BP doesn't want anyone to know about? Gary – now that NOAA has acknowledged these plumes do exist, I'm hopeful the state and federal governments will support a research effort to systematically measure subsurface currents throughout the eastern Gulf, model the movement and dispersion of those plumes, and conduct sampling from the seafloor to the surface to map and monitor the extent of the subsurface oil.